It’s hard to believe that Halloween is just a day away and the beginning of November is upon us. Although September feels like a blur, students spent a lot of time working together as a community learning to collaborate and share ideas. 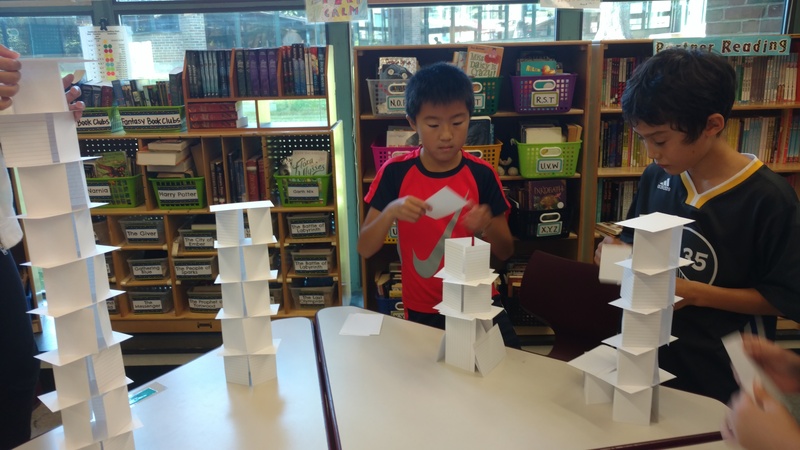 Index card tower challenges and group collages were just a couple of the activities that promoted the idea of cooperation. Our writing work revolved around personal experiences that made for meaningful stories. Students spent a lot of time in the revision phase of the writing process. 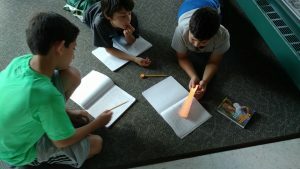 They learned to elaborate the heart of the story and blend storytelling elements into each scene. In reading, students worked in interpretation book clubs where they applied skills taught through our class read aloud, “Home of the Brave,” into their own reading. Students were also expected to write about their reading in ways that demonstrated their understanding of character, setting, plot and theme. Our math unit focused on place value, pushing students to extend their knowledge from fourth grade and solve more challenging problems. Checking work carefully and making sure answers were reasonable was also emphasized in this first unit. Perhaps the most exciting unit that 5th graders had been looking forward to was the “launch” of our rocketry unit. 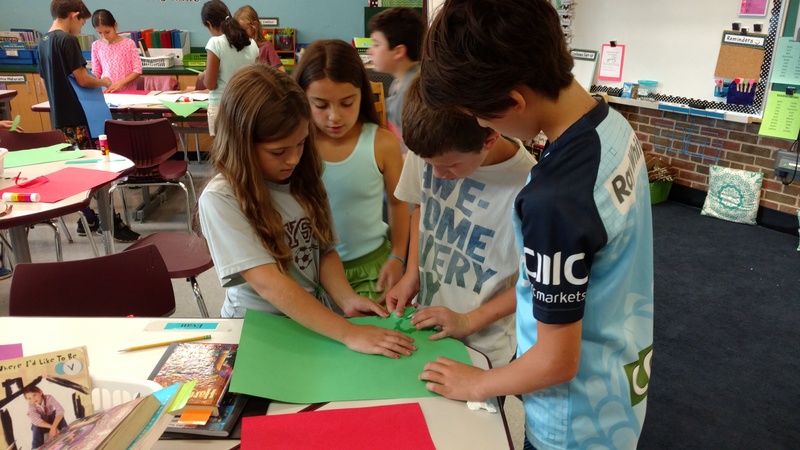 Students were eager to begin their research into the topic and work with their team members to start designing and building their first rockets. As you know, we are still in the midst of the unit as students prepare for their third and final launch this week. They are excited to share their process and overall experience of this unit during our Rocketry Parent Share (details are forthcoming). Future posts will be written by guest authors – our very own 5C writers! Please continue to check out the blog for continued class updates!